Safety is vital to your place of work. You have specific workplace hazards, such as the chance for fires and flashes, which means you need flame-resistant gear. This Ariat Work FR Men's 10022329 Silver Fox Heather FR Air Crew Shirt is a comfortable design for use i ... (see full details) (see specifications) #10022329. Safety is vital to your place of work. You have specific workplace hazards, such as the chance for fires and flashes, which means you need flame-resistant gear. This Ariat Work FR Men's 10022329 Silver Fox Heather FR Air Crew Shirt is a comfortable design for use in such work conditions. This men's flame-resistant shirt is functional, comfy, and professional. It comes in a silver fox heather design and is 100% cotton. 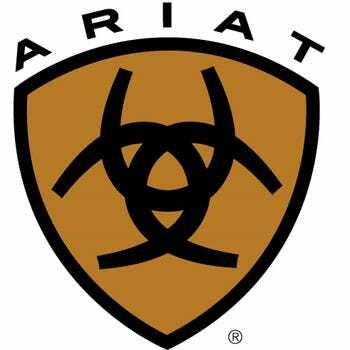 The complete cotton composition makes the Ariat FR shirt breathable, light, and soft against your skin. In addition, it features long sleeves with ribbed cuffs at the bottom for comfort and to make sure the cuffs stay in place. The men's flame-resistant work shirt is also crafted with a ribbed collar and a chest pocket that features Velcro closure. The Velcro closure makes the pocket perfect for storing items; you won't have to worry about them falling out as you move, and the Velcro also makes them easy to get to in comparison to a zipper. Perhaps more importantly, this men's Air Crew shirt is flame-resistant, and it has been independently tested in order to meet the requirements for a number of safety standards. For starters, this Ariat flame-resistant workwear meets the requirements for The National Fire Protection Association's (NFPA) standards 70E and 2112. These standards must be met for those who work in industries where the potential for electric arc flash and flash fire exists. The men's FR work shirt has an Arc Thermal Performance Value (ATPV) value of 8.7. This number indicates the level of protection from flames you'll have while you're wearing this rugged men's garment. Lastly, this special design is rated Cat 2, which correlates with the ATPV rating. In all Cat 2 garments, they must have an ATPV rating higher than 8, and this men's FR shirt does. So, get safety, comfort, functionality, and more in your place of work by adding this Ariat Work FR Men's 10022329 Silver Fox Heather FR Air Crew Shirt to your closet today. With the simple click of a button here at Working Person’s Store, it can be yours. Ariat Work FR Shirts: Men's 10022329 Silver Fox Heather FR Air Crew Shirt is being added to your cart.